The sniffles started almost immediately. Small choking noises came soon. Then full out wails, tears, and gasps. Theadora, our oldest daughter, was a mess as we drove home from Chicago today. What had caused this sudden crying? The end of Harry Potter Book seven. The end of our 9 month journey accompanied by the ever amazing Jim Dale and the audio books of Harry Potter. I was wistful myself to tell you the truth. As I tried to console our distraught daughter, I couldn’t help but feel slightly pleased, after all, isn’t this exactly the type of relationship that we hope our children, our students, have with books? One that makes you want to cry, or laugh, or scream in frustration? One that allows you to feel so intimately attached to something not created by yourself? To feel the gratitude of brilliant writing and a long journey along with an author’s imagination? To feel the loss of characters and of story as a book series finishes? Yet, how many of our students have never experienced this type of sadness? How many of our students have not experienced what is means to complete a series that one has become so invested in that it feels like the loss of a family member once the last page has been read? How many years has it been for some, if at all, since they truly loved a book? While we cannot change the past, we do have control over the now, over what happens in our classrooms. Over what happens from the moment they enter to the moment they leave. And with that power comes an immense responsibility to empower our students, to offer them a chance at an incredible relationship with reading once again or for the very first time. While it may start with having them choose their own books, this is not the only place students need more control to be empowered and passionate readers. Book choice. This fundamental right to choose what you read is one that is so often taken away from our students because we want to help them develop as readers. Yet when a child is not a allowed to choose the very text they are asked to engage with, we give them little room for an emotional attachment. How many of us adults will willingly invest in something we have been told to read? So while we can expose and recommend, we must create classrooms where student choice is the norm, not the exception. Where we help students find that next great book in order for them to become independent book selectors so that they can leave our classrooms knowing that they do not need us. Not in the same way as they did in the beginning. Where wild book abandonment is the norm and not something you need permission for. Where indifference rules when a book is given up because we know that a new book awaits. If we truly want students to feel in control of their reading identities then giving them the choice over which book to read is the very least we must do. Book truths. If we do not know what we are up against, then we can never change their minds. This has been a mantra of mine since I started asking my students all sorts of things about their education. So every year, and throughout the year, we continuously discuss how we feel about reading (and writing). I never dismiss their truths, nor try to correct them. It is not my job to tell them how they should feel, but it is my job to hopefully create a better experience for them. I cannot do that well if students do not trust me, trust the community, and trust themselves and also trust the fact that perhaps how they feel about reading right now, if it is negative in any way, is something that can be changed. (Yes, growth mindset at work here). So ask them how they really feel and then truly listen, because it is when we listen, we can actually do something about it. Student post-it’s cover our whiteboard, our very first discussion of why we like reading or not from Friday. Book Tasks. Just Friday I was asked how many book summaries we would do this year. I must have looked perplexed, because another student quickly added, “You know, write a summary every time we finish a book?” I assured them that while we would work on summarizing, it would not be on every book, nor even books mostly. Instead we discussed what we want to do when we finish a book; discuss with others, pass it on, perhaps forget all about it. We must give our students control over what they do with a book once it has been finished. We must allow them to explore ways to communicate their emotions with a book and certainly still develop as thinkers. I keep thinking how I want our students to have choices every few weeks as we advance our reading; review, conversations, written ponderings, perhaps a summary, perhaps a video. The point is, I am not sure at this point what we shall do once we finish a book because it depends on what the students would like to do. I do not ever want to implement a task that makes a child slow down their reading or stop it altogether just because the task attached to it is horrific in their eyes. So when we plan our reading tasks make sure that the long-term effects are not unwanted. Make sure that it actually plays into our bigger picture; students who actually like to read, and does not harm this. Book Selection. While choice is of utmost importance, so is the way books are selected. Too often we schedule in book shopping time for when it is convenient to us, forgetting that all students need books at different times. Selecting a book is a also something that must be taught, even in middle school, because many students still have a hard time finding a book. We therefore discuss how to bookshop, which yes, includes, judging a book by its cover, and then we take the time it takes. If we really want students to wander among great books then we must give them time for that wandering and we must embrace the social aspect that comes along with it. 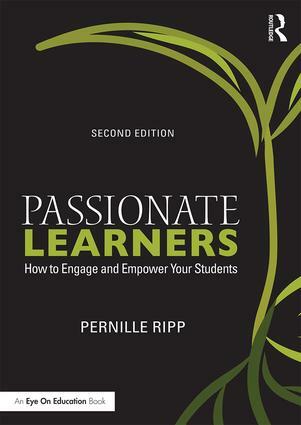 After all it is this book loving community that should sustain student reading after they have left our classrooms. How many students would say the exact same thing? Book Access. While I cannot continue to purchase books at the rate I have been due to a change in our household, I know that one of the biggest reasons many of our students end up identifying as readers is because of the sheer volume of books they have access to both in our classroom library and in our school library. Kids need books at their finger tips at all times. Much like they must have time to book shop when they need it, they also need to be able to book shop right in our classrooms. When a child is obviously lost, we or other classmates can jump in. When a child is only pretending to bookshop we can offer guidance. We cannot control how many books our students go home to, but we can make sure that whenever they are in our classrooms; the books are plentiful. Book Time. Providing students time to read in our classes is one of the biggest ways we can signal to students that reading really matters. After all, it is what we give our time to that must be the most important. So whether it is only 10 minutes, like I provide every day, our a longer amount of time; time for reading in class is essential. Otherwise, how will we ever know that they are truly reading because anyone can forge a reading log. The time for reading should be just that, not time for tasks or post-its. Not time for partner discussions or writing. Reading, in all its glorious quiet. In all its glorious discovery. While the above areas may seem so commonsense, perhaps it is their commonsense-ness that makes us forget to implement them all. It seems so obvious and yet… how many of us have told a child what to read (I have!). How many of us have asked students to create task upon task after they finished a book (I have!). How many of us have asked students to bookshop at a certain time and for a certain amount of time and wondered why they came up empty-handed (I have!). The point is really that we have the choice to empower our students. 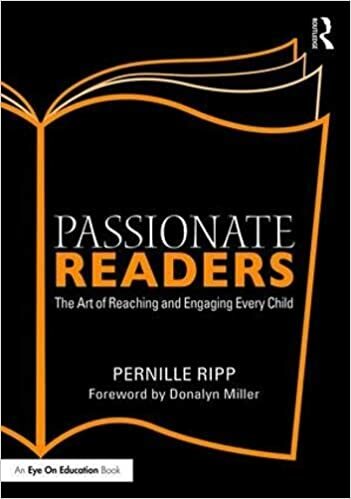 That we have the choice to show our students that their reading identity and developing it is a major part of our curriculum even if the standard does not cover it. Even if the test does not measure it. Because we know that at the end of the day we are not just teaching students that should be college and career ready, but instead are teaching human beings that should grow as human beings in our classrooms. I may not be able to change every child’s mind when it comes to books and reading, but I will go in there every day trying, because my hope will always that they too will someday cry when they realize that a series has ended. Pernille is one of the most amazing teachers I have met. Her words speak truth. Please take time to read this remarkable post! !